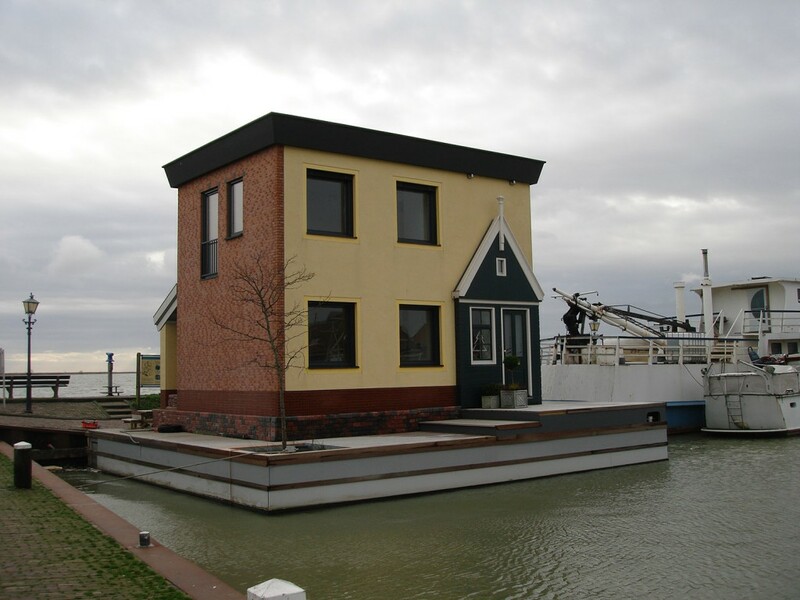 Free and independent living on water- lakes , rivers, canals – is becoming increasingly attractive, because Land is getting scarce and very expensive. 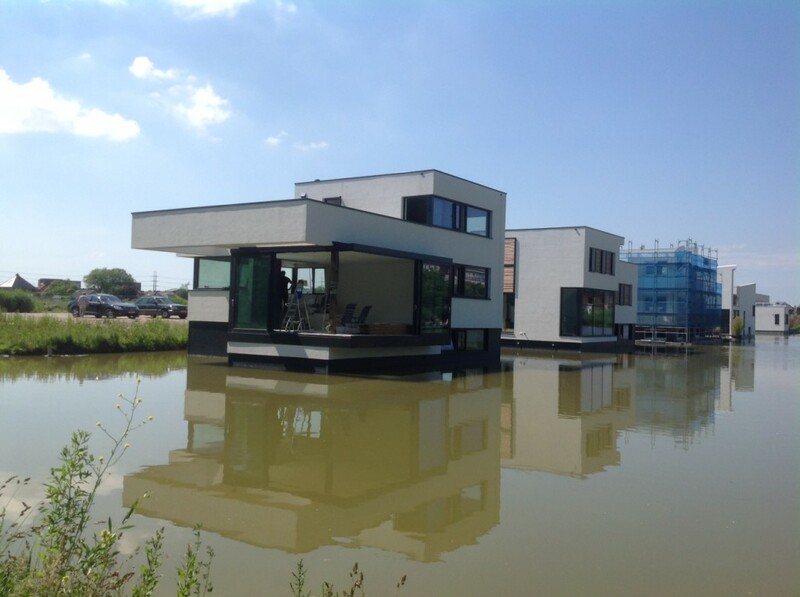 Climate Construction has built 2 floating homes – see photographs- for THS Wohnen in Gelsenkirchen. THS and Van der Leij are also participating in the European Federation for Living (EFL). Climate Construction collaborated with her solid partners; Veerhuis Bouwsystemen, Van der Leij Bouwbedrijven, Steelframing Holland and ABC arkenbouw. 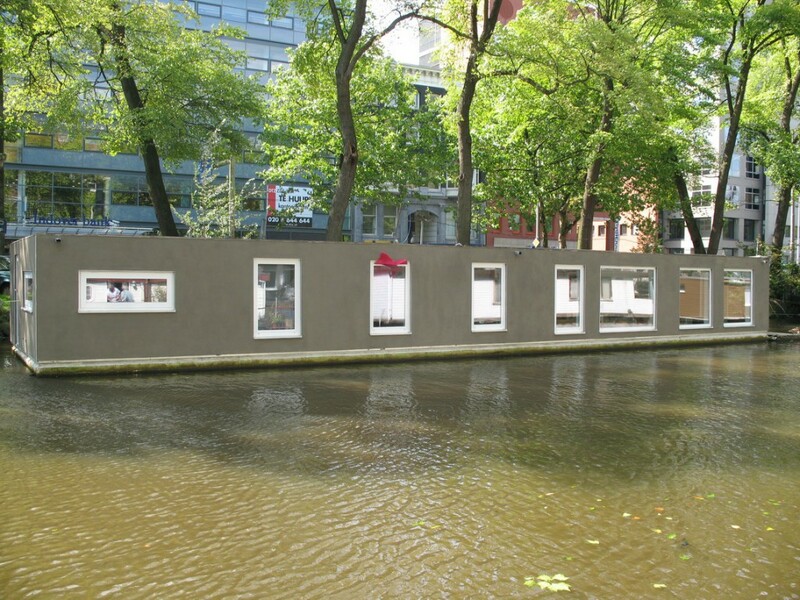 For the construction the patented Veerhuis Technology was used. The whole development was made integrally by using all the knowledge of the different parties. 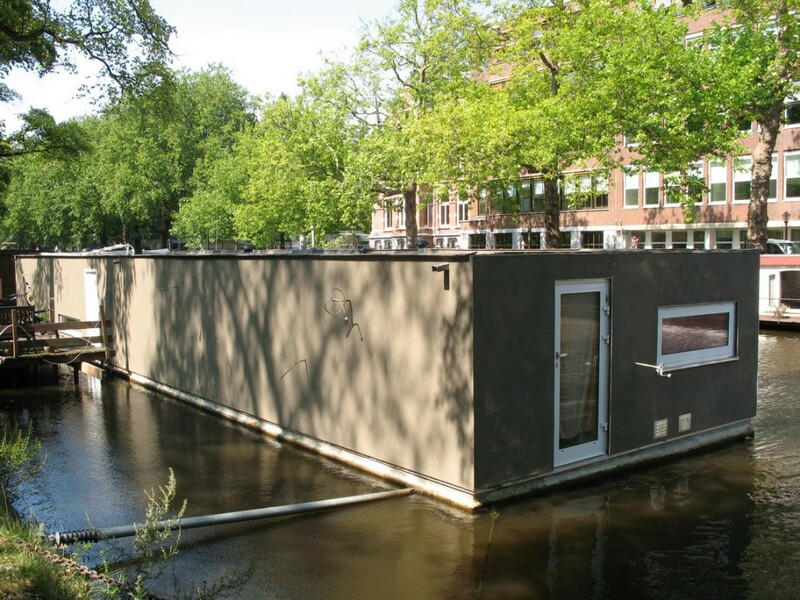 The floating homes have 115 m² living area, an R value of 7.5m2K/W, a solar boiler and solar panels to generate its own electricity. 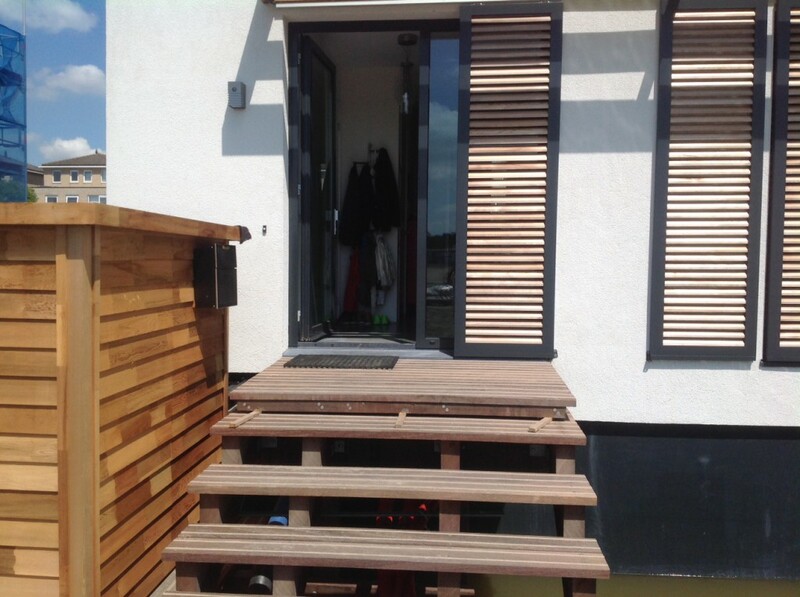 The whole construction is climate friendly, energy saving and is nearly 100 % recyclable or reusable. 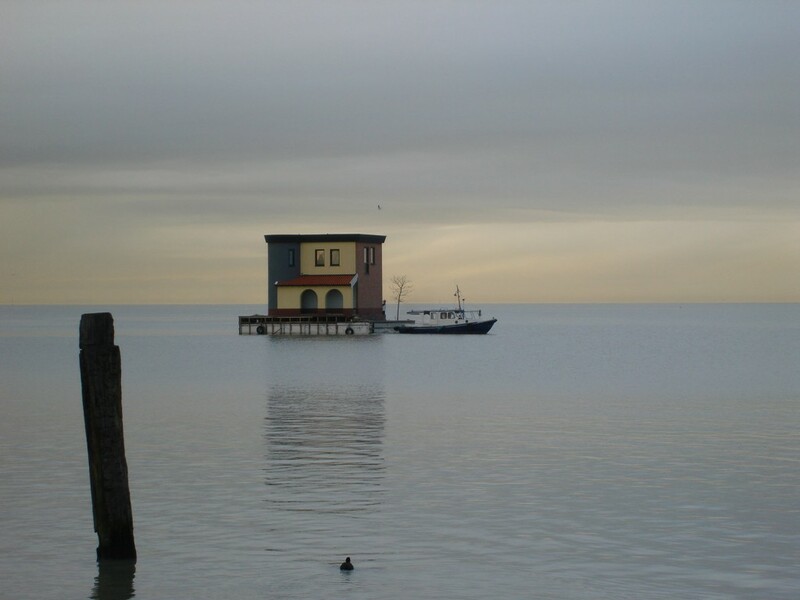 The used Veerhuis building techniques guarantee a rapid construction.